That’s the sound of performance appraisal processes being blown up across the country. There’s been a collective lightening flash of realization that the old way of doing it just isn’t doing it. For anyone. It’s largely a waste of time, money and mojo. What replaces it is still not clear. There are all sorts of nascent tech solutions, and various forms of Performance Appraisal Lite. But if there’s one thing that seems to be consistent, it’s the belief that all managers and leaders need to coach their people more consistently, more successfully and more often. Two things resonate here. First is the understanding that coaching isn’t about rescuing or fixing the other person, but about helping them help themselves. Second is the teasing apart of the difference between teaching (“Let me give you the answer”) and learning (“Let me help you find the answer”). And what does that translate to in actual behavior? Stay curious a little longer, move to advice giving and action a little more slowly. More questions, fewer answers. But clearly, it’s not. One piece of research found that although over 70% of managers self-reported that they’d had some form of coaching skills training, only 23% of people receiving coaching from their managers felt that it was making any significant impact. And 10% felt it actually made things worse (those must have been motivating meetings to attend). So what’s so difficult? There are three major factors: time, habit, and control. Even while proclaiming the value of coaching in his seminal article, Daniel Goleman shrugged his shoulders and said, “Many leaders told us they don’t have the time in this high-pressure economy for the slow and tedious work of teaching people and helping them grow.” And don’t forget, this was back in the halcyon days of 2000, when we were less connected and less overwhelmed and less distracted than we are today. The “no time, no time” perception is widespread, and it’s often cited by managers as the biggest barrier to why they don’t coach. It’s in part because of the mistaken belief that manager coaching and executive coaching is similar. Executive coaches typically have the luxury of showing up regularly — once or twice a month — and having a focused hour with their clients. That’s entirely opposite to what most manager and leaders can do. At my company, Box of Crayons, we’re clear that for busy managers, coaching has to be fast — 10 minutes or less — and a regular occurrence. The metaphor is drip irrigation rather than the occasional flash flood. It also can’t be an addition to their current responsibilities, but something that transforms and elevates the transactions they already have. 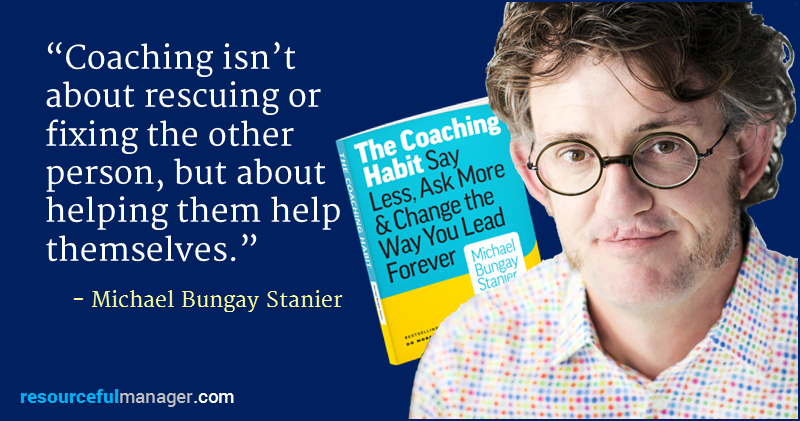 But even if there’s the realization that being more coach-like means transforming the way we’re interacting with others, and that it can be fast, practical and useful, we’re still up against the fact that giving advice is a habit that’s in our bones. Good Habits Or Bad Habits? Solution providing and answer giving are deep habits for us all. From our earliest school years we were trained to provide this, and that’s the way we “add value” in our working lives too. Of course, some of us have got clever, mastering the art of pseudo-coaching by asking fake questions. It starts with asking “questions,” questions that begin with “Have you thought of . . . ?” or “What about . . . ?” or “Did you consider . . . ?” But these aren’t questions at all. They are just advice with a question mark tacked on the end. And then there’s the fake active listening. It’s probably the one thing you can remember from any training you might have had, and we all now know how to do it. Tilt your head to the side slightly. Furrow brow in an interested/concerned/thoughtful manner. Nod head occasionally. Add small grunting noises of encouragement where appropriate. All that glosses over the fact that we’re not listening at all. No, we’ve already decided what we need to tell the other person, and now we’re just waiting for the right moment to interrupt and let them have it. But the challenge in finding a good question and asking it well goes deeper than just its being a well-practiced habit. There’s something lovely about giving the answer, about providing the help. Even though your answer is most likely wrong, or at least not quite right. Even though they’re not really listening to your advice, and even if they are, they’re unlikely to follow it anyway. Even though all that is happening, it’s still lovely. When you ask a question, things shift into a place of ambiguity. As soon as you ask a question, uncertainty arises. Was that a good question? Was it the right question? Why have they waited longer than half a second to answer it? Is this really helpful? Am I doing my job? What if they don’t want to answer a question, they just want the answer? And what’s even more destabilizing, you’ve handed control of the conversation to the other person. The price you pay for empowerment is giving up power. They get to decide the answer. And what if it’s a terrible answer? What if you don’t know how to handle their answer? What if they don’t have an answer? So why would you put yourself through all of that? It’s been almost 50 years since Robert K. Greenleaf introduced the idea of servant leadership, and as a concept it’s in a place of ebb rather than flow. However, its central tenant will strike a chord. It frames leadership as an act where other people’s needs are being served, what the Arbinger Institute would call an outward mindset. When servant leadership is at its best, those being served both expand their potential and fulfill it, and in turn become servant leaders themselves. Anyone who’s suffered through the performance appraisal process — which I’m guessing is you, me and everyone else reading this — is likely delighted that a new dawn is rising. It’s still early days, and who knows how this might evolve. But it’s a good guess that essential to this new approach to engaging and supporting people is having managers being more coach-like. Better at asking questions, better at giving feedback. It doesn’t work just to decree that and hope it’s going to happen. You’ve got to help managers see how this can be of service to them as well as to those they lead. And then you’ve got to help them build a coaching habit. 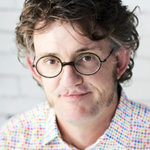 Michael Bungay Stanier is the Senior Partner of Box of Crayons, a company that helps organizations do less Good Work and more Great Work. He is the author of The Coaching Habit and Do More Great Work. Performance evaluations…everyone’s least favorite thing to do, whether receiving or presenting. All managers want to see their employees succeed. It is far easier to present a positive performance evaluation than a negative one. Plus, if your employees are successful you are successful as their leader. I like the Whitmore philosophy of “Unlocking a person potential….” and “…helping them learn…” rather than teaching them. Great work in identifying skills all good manager should already know.